Syria and Palestine Front: Showing Cairo, Egypt, the northern Sinai peninsula, Akaba on the Red Sea, Jerusalem, Beirut, Damascus, and Aleppo. 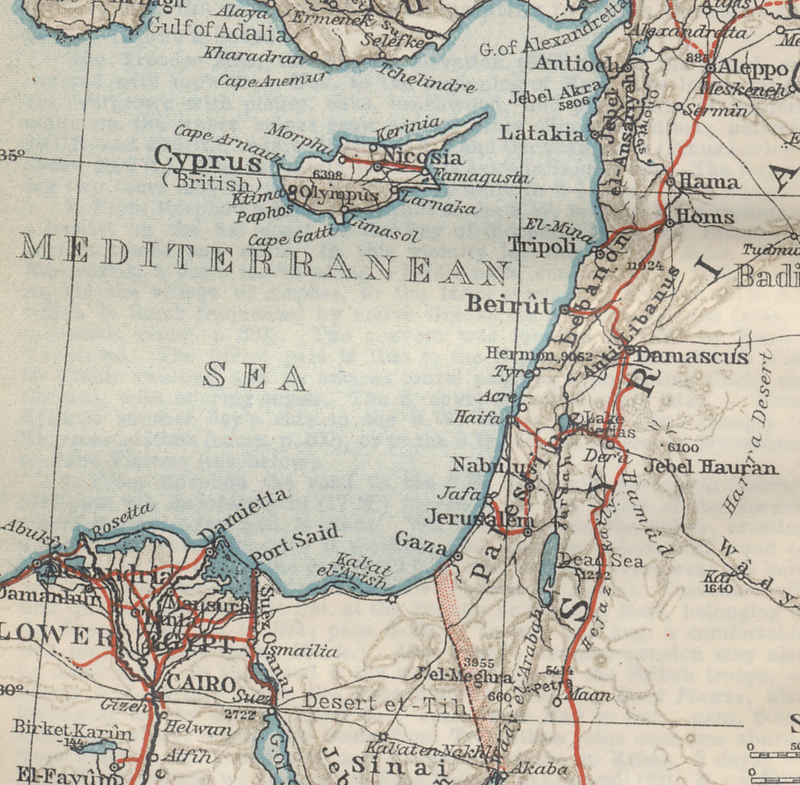 The Hejaz Railway runs north, parallel to the Mediterranean coast. From Palestine and Syria with Routes through Mesopotamia and Babylonia and with the Island of Cyprus by Karl Baedeker.